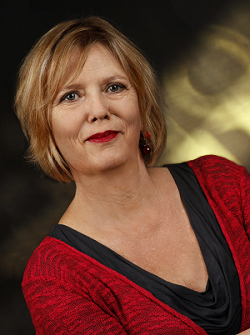 Ineke Mennen is Professor of Applied English Linguistics and is based in the Department of English at the University of Graz. Before her appointment to the University of Graz in 2014, she held the Chair of Bilingualism and Linguistics in the School of Linguistics and English Language and the Centre for Bilingualism at Bangor University in the UK. She has also held positions at other universities in the UK, such as the University of Edinburgh, Newcastle University, and Queen Margret University. She has held visiting research and teaching appointments at Newcastle University, the Max Planck Institute for Psycholinguistcs in Nijmegen, the University of Padua, the University of Crete, the University of Malta, and the University of Patras. Dr Mennen has published widely and has received research grants and fellowships from the Economic and Social Research Council, the Arts and Humanities Research Council, the British Academy, NHS Highland Endowment Fund, and Ataxia UK. A strong theme across her work is an interest in intonation and how it differs across languages or language varieties, how such differences are genereated in speech production, evaluated in speech perception, acquired in first or second language acquisition, and lost or broken down in conditions of attrition or speech impairment. She is co-editor of Advances in the study of bilingualism (2014) (with E.M. Thomas) and Associated Editor for the journal Phonetica. Currently, she leads the Section of Applied English Linguistics within the Department of English. Members of this group have access to a speech laboratory for their research and teaching. The group currently consists of Dr Niamh Kelly, Dr Milena Insam, Dr Johannes Scherling, Mr Lukas Lackner, and Ms Lisa Kornder. She is currenty finishing research funded by a British Academy Mid-Career Fellowship entitled The nature of prosodic difficultues in second language learning: the case of Welsh stress. Dr Mennen has previously directed research on aspects of second language intonation, sociophonetic variation, and articulatory settings in bilinguals (see research page for more information). Dr Mennen supervises doctoral and master projects in second language speech production and perception, sociophonetics and clinical phonetics. If you want to find out out more about Dr Ineke Mennen's research or teaching, please consult the pages on the left.